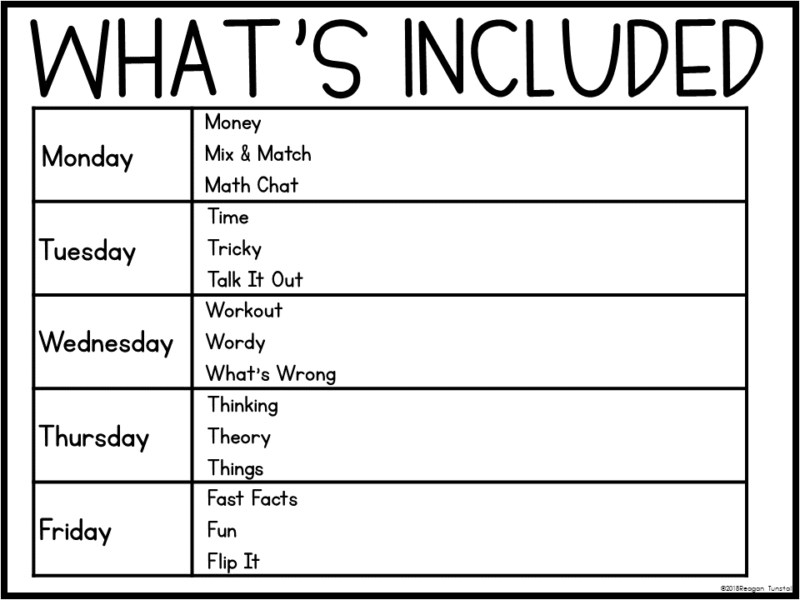 I don’t know about you, but after planning out my math lessons for the week, I begin to feel excited about what we will do as a class, yet anxious about how much time we have and how we will fit all the plans into our math block. One of the first things to go when I begin to feel this way is the math warm-up. I have worked hard on my lesson and want to get to the “meat” of the day so it makes sense at the time to eliminate what seems like an “extra” to the lesson. What I don’t realize is how much happens for my students during that math warm-up that locks in learning and cements concepts that are still forming. How is a Math Warm-Up Different from a Mini-Lesson? 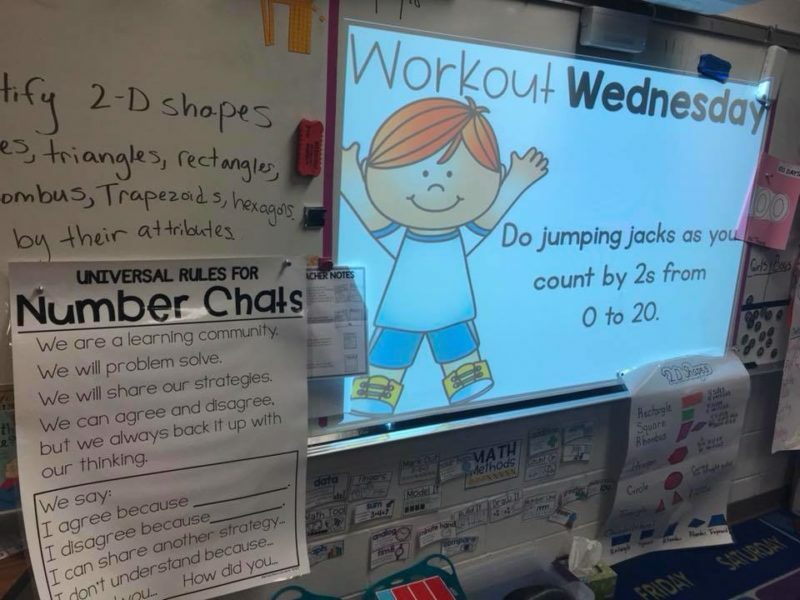 A math warm-up is essentially a number talk set to all different learning standards throughout the school year. 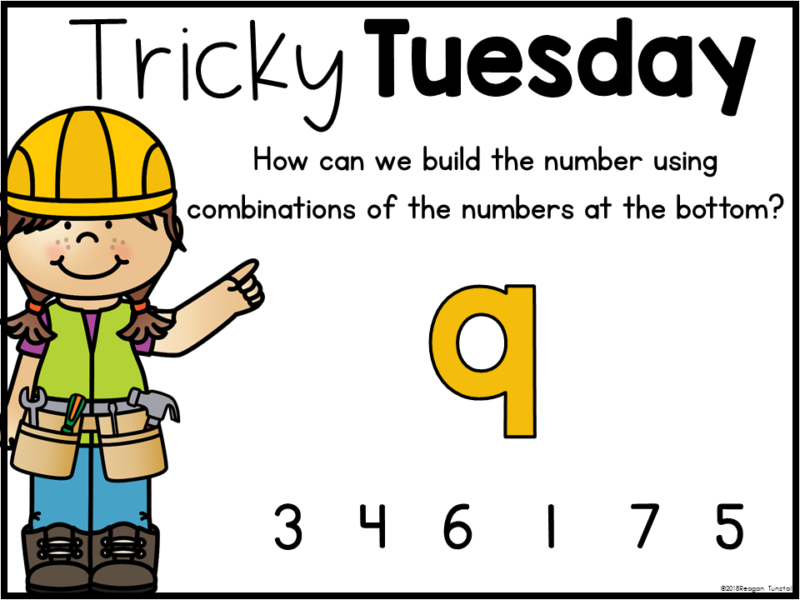 The problems and numbers use in the number talks are designed to elicit certain strategies that focus on number relationships, place value, and properties of computation. As students explain and defend solutions, they will have an opportunity to collectively reason about solutions and to make connections between key mathematical structures. 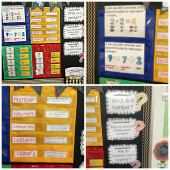 These number chats are a key component for students to develop flexibility with numbers. 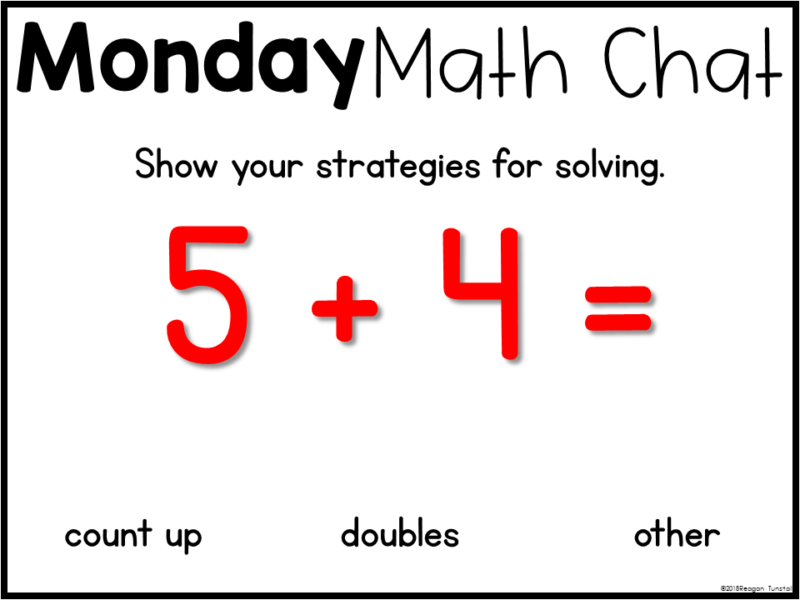 The main thing to remember during a math warm-up, is to emphasize and focus on the process and strategies for solving rather than the answer. 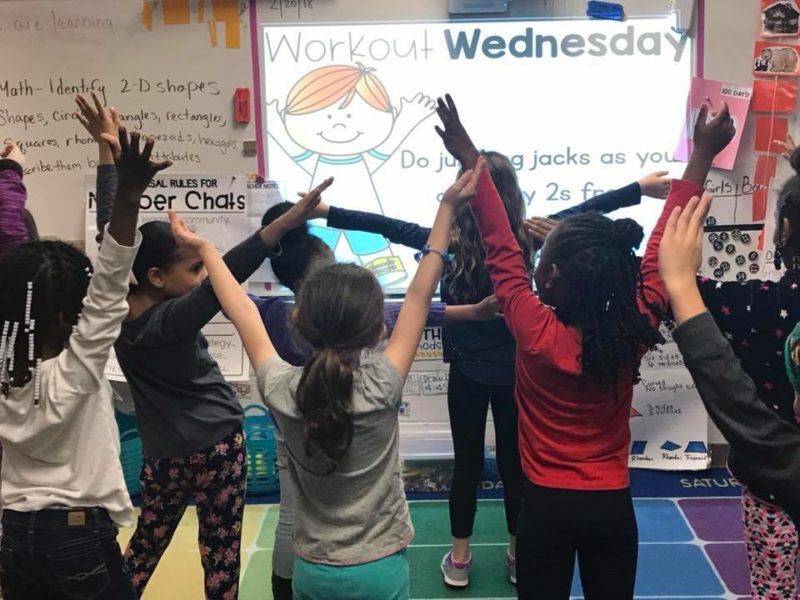 A math warm-up allows students to process and explore mathematical concepts while applying, extending, and analyzing information within their own unique range of understanding. Students work through standards based mathematical prompts in order to increase flexible intuitive thinking with numbers. 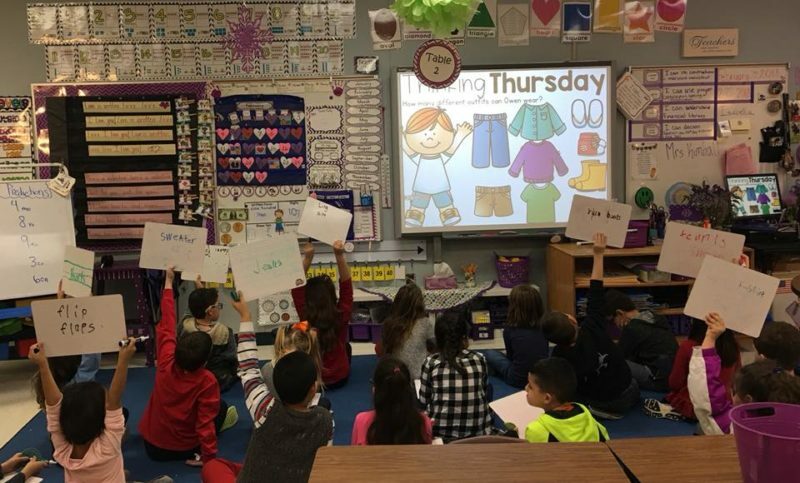 This process of working through a math prompt with peers and teacher promotes mathematical fluency, deeper understanding, perseverance in problem solving, critical thinking, and increased computation strategies. During a math warm-up, you can change the prompt to fit the developmental needs of your students. Here are example math warm-up prompts to use in place of the given prompt in order to remediate or enrich the level of learning. What is the value of ___________? Explain how you break down this problem in a way that makes sense to you. Name the ________ of the problem. Can we make it another way? Tell me the strategy that you used. 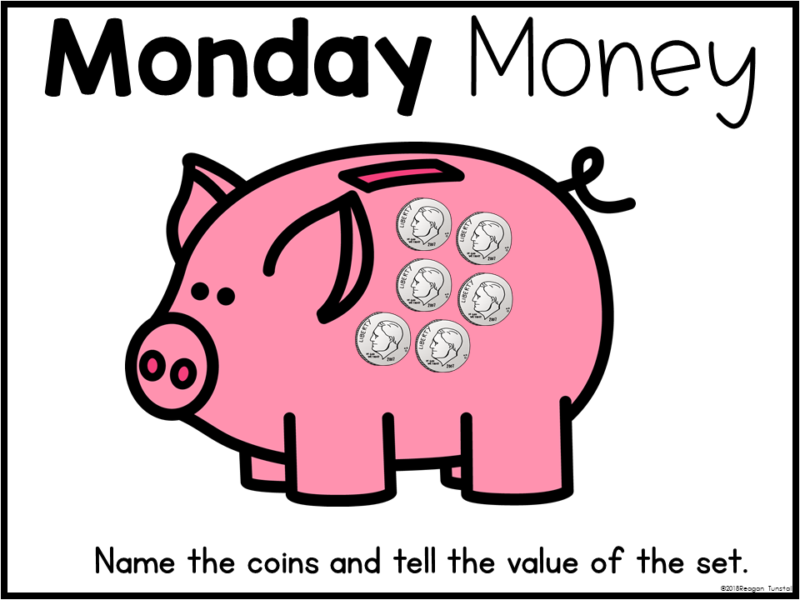 How can we create this with different numbers/coins/manipulatives? How does ____ change the value? 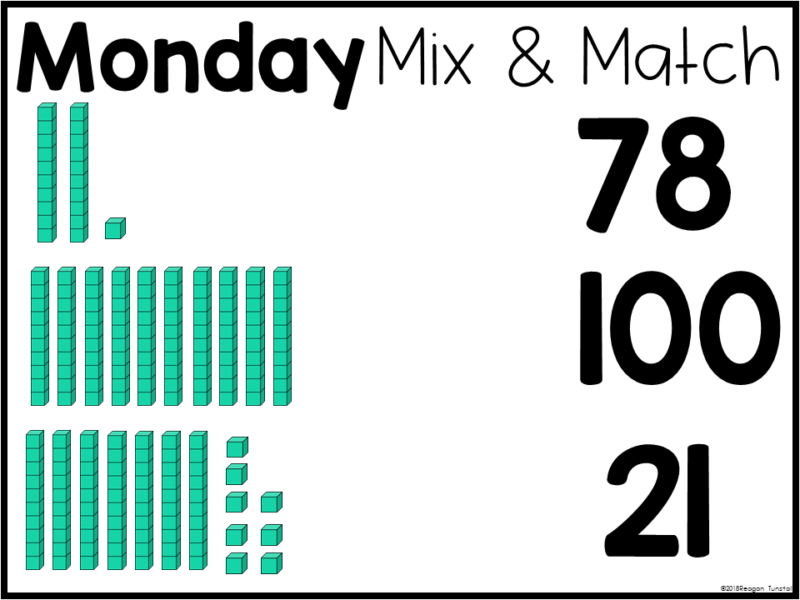 One way to create interest (for both teacher and student) is to make the math warm up memorable and fun. I am a big supporter of the name it and claim it variety of teaching. Letting students know why we do things so they understand the purpose. For this reason I let them in on the different types of math chats we will be doing through our school year together. In order to mix things up enough to keep interest, I use alliteration. 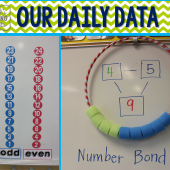 This allows me to fit in all 9 math strands through the year while also changing up the formatting and questioning on the daily! Mix and match is a spiral review activity that allows students to deduce unknown information through working on known information and eliminating choices. 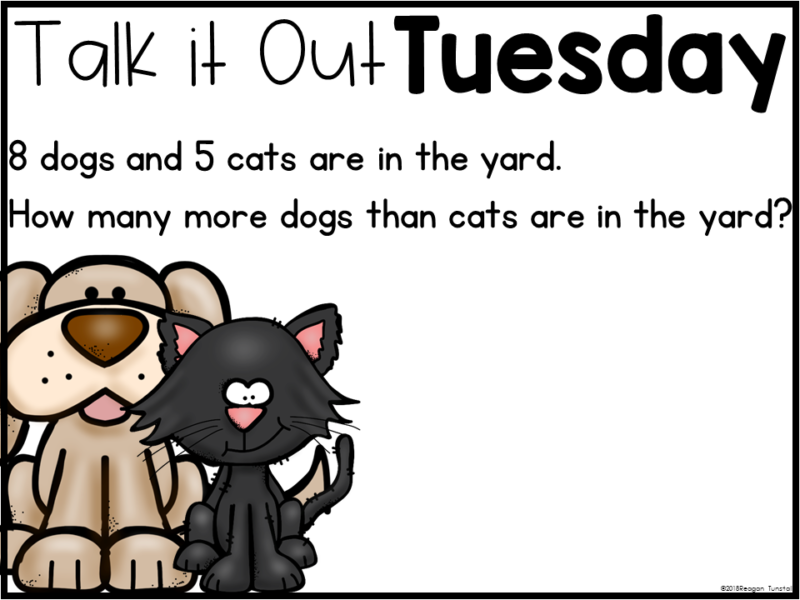 It is great for test prep and for making connections. One the file and click the day of the week you want. 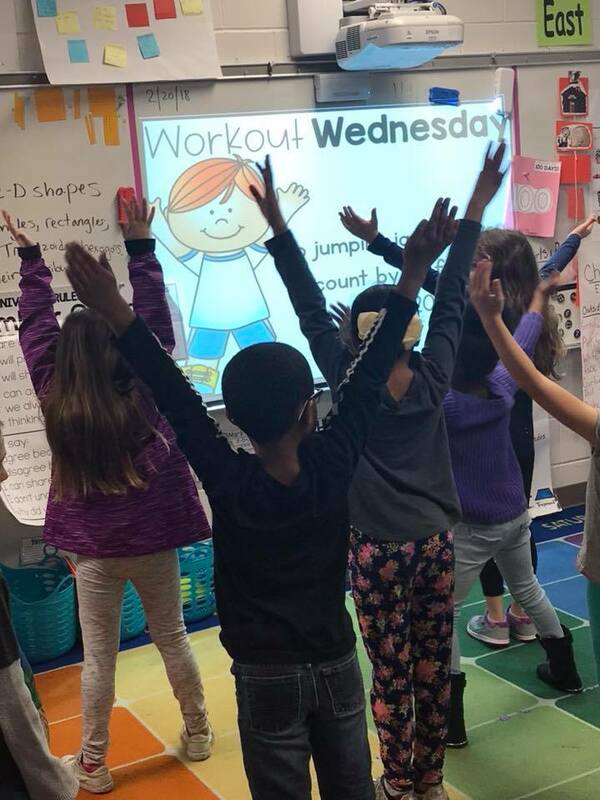 Then project the warm-up either to your screen or board or place the printed warm-up page under a document camera. Remember that the emphasis is on process and strategies over answers. 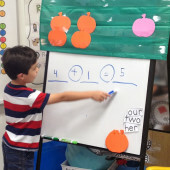 Students are recognized and praised for making connections, sharing thinking, strategies, and finding more than one way to solve. Establish a signal for think time and a process for when and how to share with the class. Love love love your rotating idea for warm ups! Any ideas for ideas for 4tj grade? Would love to try this!! Wow! This is awesome! I always am thinking of a fun motivation and way to get students hooked and thinking! Will you please make one for kindergarten?! I LOVE your things! Thank you for creating and sharing! Love your ideas! Do you have a Canadian money version for third grade? I do so enjoy all your products and so appreciate your knowledge, time, and talents in your creations. 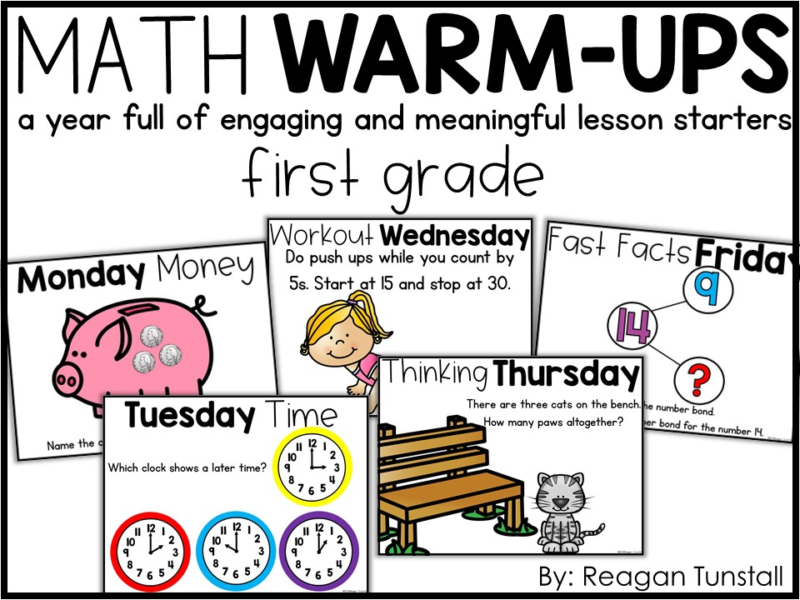 Are you going to have “Math Warm-Ups” for Second grade? Thank you! I love the math warm-ups and so do my students! I’m wondering if you might show a video of them being used in a classroom with students? It’s always good to see how other educators put their own twist on it. Thanks Reagan! Hi! These warm ups look awesome! Do you do just one slide daily? Wasn’t sure from the video? Do you have a math warm up for 4th grade or know where I could find one or help me design one??? If you find one, let me know. I’m in the same boat. I may start making my own though.